An eccentric Duke, a mysterious claimant to the title, a long legal battle to open a grave in pursuit of a huge fortune - it's a thoroughly engrossing story.... and it's all true! 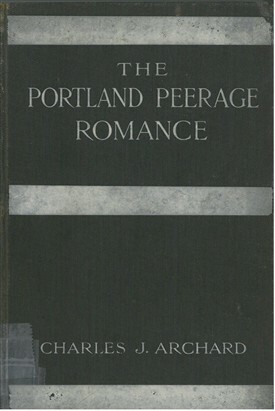 The national headlines grabbed by Nottinghamshire’s Druce-Portland case has inspired three books over the years. Piu Eatwell’s The Dead Duke, His Secret Wife and the Missing Corpse: An Extraordinary Edwardian Case of Deception and Intrigue' (2014) is the latest, but the first was published whilst the ramifications of the case were still rumbling on. 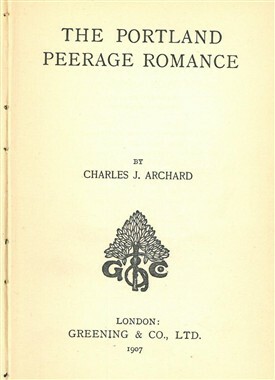 “The Portland Peerage Romance” was published in 1907 by Nottinghamshire author Charles J. Archard, who editor was of the Newark Herald newspaper. 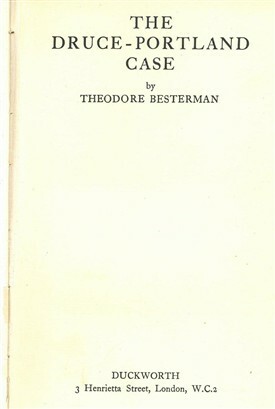 Then in 1935, when matters had finally been settled, came Theodore Besterman’s “The Druce-Portland Case”. 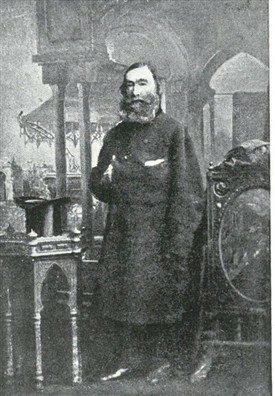 The story centres around Victorian businessman, T.C. Druce, and the 5th Duke of Portland of Welbeck Abbey in the 'Dukeries' area of Nottinghamshire. It was the sensational claim of Druce's daughter-in-law that Druce and the reclusive Duke were in fact one and the same person...... and that Druce had faked his own death in order to give up his secret life and retire to his life as the Duke. When the 6th Duke inherited the estate, Druce's daughter-in-law swung into action, contesting the succession, and claiming that it was her son (as Druce's legitimate heir) was in fact the rightful heir. She petitioned the courts for the power to exhume the grave of T.C. Druce to prove that his death was faked.... and the monumentally convoluted legal wranglings that ensued made headline news for over a decade. This page was added by Website Administrator on 03/11/2015.